Manufacturer of a wide range of products which include industrial hydraulic cylinder, tie rod hydraulic cylinder and telescopic hydraulic cylinder. With the hold up of our experts and sophisticated in-house facilities, we have been able to offer an selection of Industrial Hydraulic Cylinder. Our presented cylinder is precisely manufactured using the quality proven basic stuff and contemporary technology under the direction of our capable personnel. This cylinder is examined on predefined parameters of quality, in order to offer flawless range at patrons' end. 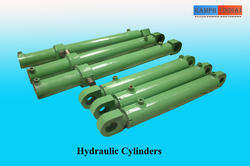 Additionally, patrons can get presented cylinder from us at nominal prices. We have mastered the art of manufacturing Tie Rod Hydraulic Cylinders. The entire range is made by using premium quality basic material that is sourced from reliable vendor base. Quality is not compromised by us any stage. Hydraulic Cylinders tie- Rod Construction are resistant to corrosion, high in tensile strength and sturdy in construction. Our association has gained appreciation as the affluent manufacturer, exporting, importing and supplying of a qualitative range of Telescopic Hydraulic Cylinder. The presented cylinder is manufactured using quality assured basic stuff and contemporary technology. We do promise our patrons that our range is quality examined on predefined parameters, for meeting international parameters. Except with this, our prestigious consumers can get this cylinder, according to the their needs, at highly competitive price. 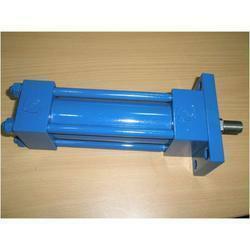 Looking for Hydraulic Cylinders ?